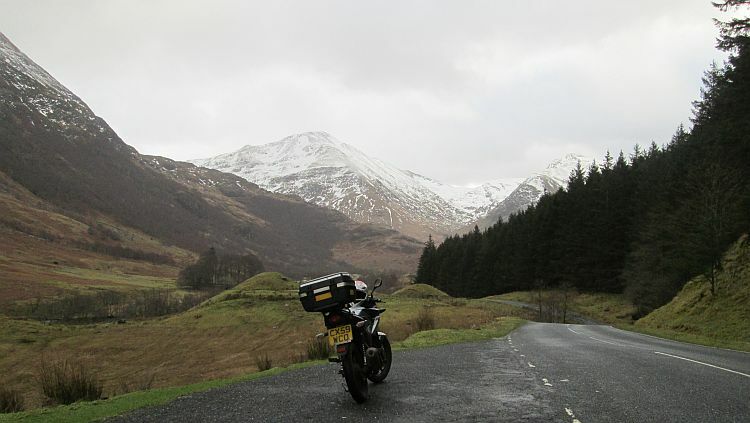 Ren takes on the challenge of riding a 125cc motorcycle to Scotland. In winter. Camping. Fool. Prologue - Scotland In Winter The build up to Scotland In Winter doesn't go anywhere near as well as Ren might hope. Thinking Too Much As Ren rides north his bike takes a turn for the worse and his over-active mind starts to fret and worry. Is it all really worth it? Hanging On In There Ren is suffering at the hand of the weather, his bike troubles, his sleeping arrangements and the wind. Will he make it? A Better Day The weather improves, there's hope for the 125 and there's hope for a better night's rest too. A Long Ride Ren makes the long journey south to avoid the forthcoming snows. But what does he find in Kirkby Stephen? Epilogue - Scotland In Winter Ren contemplates the Scotland In Winter trip. Was it really worth the effort? Nothing linked to the "Thinking Too Much" bullet in "Scotland In Winter 2015"? Is that the Glen Nevis road the one that just ends in like a random car park? Its about 5 miles of totally up down left right smooth tarmac. Spot on Garth! And yes what a road it is. It may be short but in those few short miles there's 100 miles of bends. I take it you know the area well?